Whether presented in concert or in fully-staged form, whether in the guise in which it was first performed in 1805, the final version of 1814, or any other conflation of surviving materials, Ludwig van Beethoven’s Fidelio makes demands upon conductors, musicians, and singers that, in the two centuries since the composer’s final thoughts on the score were introduced to the public in Vienna’s Kärntnertortheater, have only occasionally been met with complete success. Since its inception in 1920, the Salzburger Festspiele has often witnessed momentous performances of Fidelio, including those in 1936 with Lotte Lehmann in the title rôle, unforgettable evenings in 1949 and 1950 on which Kirsten Flagstad’s Leonore donned Fidelio’s trousers in order to liberate Julius Patzak’s Florestan, and nights in 1957 and 1958 when Christel Goltz’s formidable voice resounded in the Felsenreitschule. To the document of the 1957 production already in the label’s catalogue ORFEO now adds a good-quality Österreichischen Rundfunks broadcast recording of the Salzburg Fidelio performance of 5 August 1983. Preserved in slightly boxy sound that faithfully reproduces the impact of large voices in the Großes Festspielhaus, the performance heard on ORFEO’s discs surprises by legitimately meriting inclusion among the preeminent Fidelios of the Festspiele’s distinguished history. 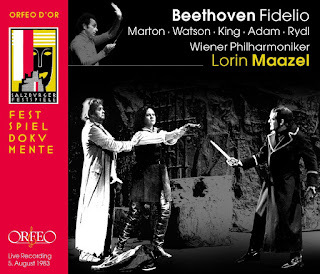 The 1982 and 1983 Salzburg productions of Fidelio were conducted by Lorin Maazel, who presided over a DECCA studio recording of the opera with Birgit Nilsson and James McCracken nearly two decades before the performance on this ORFEO release. At Salzburg, Maazel clearly approached Fidelio not as an operatic warhorse with more than a century-and-a-half of accumulated performance traditions but as a still-evolving, still-relevant work of timeless, untiring sensibilities. The technical brilliance with which the Wiener Philharmoniker and Konzertvereinigung Wiener Staatsoper meet the formidable demands of Beethoven’s music is expected, of course, and there are remarkable feats of virtuosity in this performance, especially from the horns. Both the Ouvertüre and Leonoren-Ouvertüre No. 3 (Opus 72a), inserted before the Act Two finale as perpetuated by Mahler during his tenure with the Wiener Staatsoper, are impressively played, and the choristers make ‘O welche Lust!’ and ‘Heil sei dem Tag’ the awe-inspiring passages that they should and must be. Personally and institutionally, the Viennese musicians and choristers had by 1983 experienced the Fidelio interpretations of many renowned conductors, but they here adopt Maazel’s concept as their own, playing and singing with concentration and straightforward dramatic focus that complement Maazel’s unsensationalized concept. There are recordings of Fidelio from both stage and studio to suit virtually every taste, but this Fidelio offers many felicities that are unique to this performance. A frequent enticement of Salzburger Festspiele performances is the opportunity to hear major artists in minor rôles, and this Fidelio fulfills that implicit promise by featuring acclaimed singers as the two prisoners who emerge from the throng of inmates to sing solo lines in the sublime scene for chorus in the Act One finale. 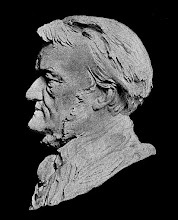 German tenor Horst Hiestermann voices the lines for the Erster Gefangener with steady, silvery tone and verbal acuity. In addition to singing the Zweiter Gefangener, Austrian bass Kurt Rydl alternated as Rocco in both the 1982 and the 1983 Fidelios. In this performance, he dispatches the second prisoner’s cautionary words with compelling gravitas. As Don Fernando, Finnish bass-baritone Tom Krause (1934 – 2013) wields a voice worthy of an eleventh-hour savior. Don Fernando’s part in the drama is small but significant, and the character’s magnanimity is all the more compelling as Krause enacts it. Hiestermann, Rydl, and Krause all enhance enjoyment of this performance. Of how many Prisoners and Fernandos can that be said? Fidelio’s pair of young lovers—Beethoven’s equivalents of Wagner’s Magdalena and David—are portrayed by singers who combine youthful timbres with genuine ability to sing their music—in reality, as rare a combination as there is in opera, no matter which composer’s name is on the score. A native Londoner, soprano Lillian Watson [there is seemingly considerable disagreement about whether the lovely lady’s first name is spelled with one or two l’s at the center: ORFEO’s materials accompanying this release prefer the single-l spelling, but many other sources, including the websites of the Royal Opera House, Covent Garden, and the Royal Academy of Music, where she has been on the vocal faculty since 2007, cite the double-l form] is a sweet-toned and equally sweet-spirited Marzelline who sounds thoroughly and endearingly besotted with Fidelio. In the duet that opens the opera, Watson’s depiction of Marzelline’s annoyance with Jaquino's amorous persistence stops short of rendering her truly unkind to her ardent admirer, and she sings beautifully. Equally alluring is her singing of Marzelline’s aria, ‘O wär’ ich schon mit dir vereint,’ and she is pert without seeming saccharinely precious in the subsequent quartet, ‘Mir ist so wunderbar.’ Watson soars to the top C in the trio with Leonore and Rocco, ‘Gut, Söhnchen, gut,’ and achieves the rare accomplishment of being heard—and, rarer still, being heard with genuine pleasure—in the finales to both acts. With her impeccably-vocalized and thoughtfully-acted portrayal in this performance, Watson joins Irmgard Seefried, Sena Jurinac, Lucia Popp, and Edith Mathis among the finest Marzellines on disc. It is only natural that a student of Lotte Lehmann should excel in Fidelio, and Virginia-born tenor Thomas Moser’s singing of Jaquino in this performance would not disappoint his celebrated tutor. He joins his Marzelline in the opening duet, ‘Jetzt, Schätzchen, jetzt sind wir allein,’ with the good-hearted single-mindedness of a young lover who hears only ‘Ja, ich liebe dich’ no matter what the object of his affection actually says. Moser’s Jaquino is more robust than most, vocally and dramatically, his singing in the quartet in Act One and in both finales never lost among the powerful sounds produced by his colleagues. [It should be noted, too, that Moser returned to Salzburg in 1990 to sing Florestan opposite Gabriela Benačková’s much-admired Leonore.] Jaquino’s tenacity is ultimately rewarded, of course, and Moser’s stylish, lovingly-molded performance yields a Jaquino who truly deserves happiness with Marzelline. A veteran of rôles as dissimilar as Wagner’s Wotan and Berg’s Wozzeck, bass-baritone Theo Adam is in this performance of Fidelio on splendid form as the malevolent Don Pizarro, a part in which singing almost as unpleasant as the character himself has sadly become the benchmark. Adam was an imaginative artist but rarely one to whose performances listeners refer as models of conventionally beautiful singing, but his traversal of Pizarro’s extroverted music in this performance impresses with its solidity and accuracy of pitch. It is no exaggeration to cite Adam in this context as one of the most musical Pizarros on disc, and he is all the more effective as a homicidal tyrant because his tones appeal: even in the awkwardly-written but bracingly effective aria ‘Ha! Welch ein Augenblick,’ Adam compels complete concentration on what this slyly conniving Pizarro fellow is plotting. Moreover, Adam sings the aria rippingly, with almost no evidence of the wobbling that sometimes affected his singing at this juncture in his career. In the duet with Rocco, ‘Jetzt, Alter, hat es Eile,’ this Pizarro plans Florestan’s demise with sadistic delight, again conveyed in firm, ingratiating tones. Even when raging in the Act One finale and throughout Act Two, Adam’s Pizarro is characterized by vocalism of a kind considerably above the recorded average, an average to which he contributed by singing Pizarro in several recordings of both Fidelio and its earlier incarnation, Leonore. It was Thomas Jefferson’s assertion that the best governments are those which govern least: a musical man, perhaps he might have modified that logic for the opera house by suggesting that the best antagonists of the lyric stage are those who bring their parts to life with the fewest tricks and distractions. Adam actually sings Pizarro’s music, and the character’s volatility is markedly more interesting for it. American tenor James King (1925 – 2005) sang Florestan under Karl Böhm’s baton at Salzburg in 1968, 1969, and 1970, as well as on Böhm’s Deutsche Grammophon studio recording of Fidelio released to celebrate the bicentennial of Beethoven’s birth. That he was still singing such a demanding rôle so well at the age of fifty-eight, thirteen years after celebration of the Beethoven centennial in 1970, is evidence not only of a marvelous voice but also of the good sense and training needed to use it properly. Throughout his career, King was rightly regarded as a preeminent interpreter of Mahler’s Das Lied von der Erde, and his experience with this music provided him with special qualifications for Florestan, in whose introductory scene at the start of Act Two Beethoven started a new path leading to the music of Mahler and Richard Strauss via Wagner and Bruckner. Florestan’s ‘Gott! Welch’ Dunkel hier!’ is as challenging as the stratospheric entrance music for Gualtiero and Arturo in Bellini’s Il pirata and I puritani and Radamès’s ‘Celeste Aida,’ but King tames its savageries with pointed, commendably direct singing. The tenor copes manfully with the punishing tessitura, and his top B♭s remain secure and exciting. King voices Florestan’s noble sentiments in ‘Euch werde Lohn in besser’n Welten’ with handsome tone matched by a keen sense of the words’ meaning. In ‘O namenlose Freude’ and the opera’s finale, there are just enough indications of stress in the tenor’s performance to remind the listener of what a demanding rôle Florestan is, even for a singer with King’s decades-long experience with the part. Like Maazel’s conducting, King’s portrayal of Florestan is not a facsimile of a battle-tested interpretation. King was still a thinking, feeling, transitioning Florestan, and this is among his—and any tenors’—best-sung performances of this taxing music. The intimidating title rôle was entrusted in this Salzburg production, as well as in its outing in the prior year’s Festspiele, to Éva Marton, who in 1983 was at a vocal crossroads, the path forged with rôles like Leonore, Verdi’s Leonoras in Il trovatore and La forza del destino, and the title rôle in Richard Strauss’s Die Ägyptische Helena intersecting with the road onto which she was embarking, one with Wagner’s Brünnhildes, Strauss’s Elektra and Färberin, and Puccini’s Turandot as notable destinations. A 1984 Metropolitan Opera broadcast in which she was partnered by Jon Vickers’s Florestan and Paul Plishka’s Rocco preserves what was clearly one of the finest performances of Marton’s career, but this Salzburg performance is in some ways superior. After she moved into heavier repertory, Marton’s singing seemingly lost a measure of the involvement displayed by her Leonore in this performance, the necessity of maintaining vocal potency outweighing the development of individualized characterizations. In the Act One quartet with Marzelline, Rocco, and Jaquino in this performance, though, her singing is confident and nuanced, Leonore’s reluctance to unjustly cause Jaquino pain nobly imparted by Marton’s careful management of her voice and unaffected enunciation of text. There is even a suggestion in the trio with Marzelline and Rocco that this Leonore, not unlike Norina in Donizetti’s Don Pasquale, feels that the game has been carried too far, both Marzelline’s and Jaquino’s future contentment being jeopardized by her actions. Aside from a final top B that lands a hair’s breadth short of the mark, Marton’s account of ‘Abscheulicher! Wo eilst du hin?’ is incredible. Hers is not a voice suited to filigree, but she sings the fiorature capably, mastering the runs in the aria with greater ease than many Leonores have brought to the music. Throughout Act Two, Marton is nothing short of ideal, combining Flagstad-like femininity and projection with the unstoppable power and stamina of a young Gladys Kuchta. She interacts with Haugland’s Rocco not with the indifference of using him as a means to an end but with the affection of one who has come to respect the man’s honesty and honor. Finally able to meaningfully defend Florestan, her cry of ‘Töt erst sein Weib!’ would stay the hand of the deadliest Pizarro, and her near-ecstatic singing in ‘O namenlose Freude,’ of which she and King deliver an effervescent performance, would gladden the soul of any husband. In the opera’s final scene, Marton gives generously of both voice and heart, phrasing ‘O Gott, o Gott, welch ein Augenblick!’ with great expressivity. Listeners familiar only with Marton’s Wagner recordings must be forgiven for any initial skepticism about the lady singing Leonore in this performance being the same singer later heard on disc as Ortrud and Brünnhilde. Along with her stunning 1981 Bayerische Staatsoper Ägyptische Helena [available on CD here] and performances in her native Hungarian in works like Ferenc Erkel’s Bánk bán, this Salzburg Fidelio wonderfully broadens appreciation of Marton’s artistry at its best. Taking for granted that no one sets out to perform Fidelio badly, the bounty of poor singing and playing of Beethoven’s sole opera on stage and on disc confirms that the score remains as challenging for today’s practitioners as it was for those who first brought it to life in the first quarter of the Nineteenth Century. Laden with spirituality and symbolism, Fidelio has often been utilized to celebrate milestones in humanity, service epitomized by the staging of the opera in 1955 for the ceremonial reopening of the Wiener Staatsoper after the devastation of World War Two. Its festival setting notwithstanding, this 1983 Salzburg performance proves that Fidelio works equally well on a more intimate scale. In this Fidelio, the heroics are those not of archetypes but of ordinary people subjected to extraordinary hardships. These are the travails of people one might encounter anywhere, but the folks in queue with you at the supermarket probably do not sing like Éva Marton and James King. It may come as a surprise to many listeners in the Twenty-First Century that, when Giacomo Puccini died in 1924 without finishing his epic swansong Turandot, the composer’s son Antonio ultimately ignored his wish, seconded by Arturo Toscanini, that completion of the score be entrusted to Riccardo Zandonai, perhaps because it was feared that Zandonai’s fame imperiled full appreciation of the genius of the score as Puccini left it. Since the 1911 première of his Conchita with his eventual wife, soprano Tarquinia Tarquini, in the title rôle, Zandonai had been esteemed as one of Italy’s finest composers of opera. As trends in European music in the years between and after the World Wars migrated away from the nutrient-rich feeding grounds of late-Romantic tonalism of the kind espoused by Zandonai, however, the composer’s fame quickly faded, especially after his death following gallstone surgery in 1944. When the Dante-inspired Francesca da Rimini was first brought to life on the stage of the Teatro Regio di Torino in 1914, though, Zandonai’s talent shone brightly in the Italian firmament. Recorded in Rolf Böhme Saal of Konzerthaus Freiburg in 2013, cpo’s new recording of Francesca da Rimini unapologetically luxuriates in the white-hot melodrama of Zandonai’s chameleonic score—a bit too much so, in fact, resulting in the sound becoming muddied in passages of greatest cacophony. As in cpo’s excellent recording of Cilèa’s L’arlesiana [reviewed here], conductor Fabrice Bollon and Philharmonisches Orchester Freiburg evince an entrancingly sympathetic absorption of Zandonai’s unique style. Bollon conducts Francesca da Rimini as idiomatically as Toscanini or Serafin might have done, ignoring none of the score’s violence in favor of lyrical effusions: his galvaning leadership of the opera’s bellicose second act would distinguish a performance of Richard Strauss’s Elektra. Respectively trained by Lukas Grimm and Bernhard Moncado, the Freiburger Kammerchor and Opern- und Extrachor des Theater Freiburg are joined by the young singers of Vokalensemble der Hochschule für Musik Freiburg, and all of the choristers respond to Bollon’s sword’s-edge guidance of the performance by offering commendably euphonious, dramatically exciting singing whether representing ladies of the Polentani court or much-harangued crossbowmen in the service of the Malatesti. [An added pleasure of this recording of Francesca da Rimini is confirmation in the accompanying booklet that Bollon and the Freiburgers will be heard again on cpo in Spring 2016 in a recording of Karl Goldmark's seldom-performed 1875 opera Die Königin von Saba.] Mastery of Zandonai's music is no small accomplishment, and there indeed is nothing ‘small’ about the level of accomplishment on this very welcome recording of Francesca da Rimini. How a Zandonai ending for Turandot might have sounded must remain a mystery, but how bewitching his mysterious, ferociously amorous Francesca sounds! It is a testament to the fact that Freiburg is still home to one of the world's few genuine companies of singers that this recording of Francesca da Rimini can boast of an ensemble of singers eminently capable of singing their rôles. As Biancofiore, Adonella, and Altichiara, Francesca's companions, soprano Bénédicte Tauran and mezzo-sopranos Sally Wilson and Marija Joković are uniformly impressive, combining keen dramatic instincts with fresh, accurately-pitched vocalism. Tenor Se Hun Jin excels as both the Balestriere and as the voice of Montagna, the prisoner tortured and executed by the bloodthirsty Malatesti in Act Four. Born in Transylvania and raised in Hungary, baritone Levente Molnár is a product of the combined traditions that produced great baritones like Nicolae Herlea and György Melis. Singing Ostasio in Act One, Molnár reveals a voice with the potential to fulfill the promise of the legacies of his lauded predecessors. He voices ‘Che fai qui, manigoldo?’ with youthful exuberance, and the firm core of the voice is exceptionally valuable in his singing of ‘Questi giullari et uomini di corte.’ Molnár is no less effective as the Torrigiano in Act Two, his interactions with Francesca sung with easy command of the range and laudable attention to detail. Young tenor Aaron Judisch, an Iowan with studies with Mignon Dunn, Sherrill Milnes, and William Warfield to his credit, is similarly convincing as Ser Toldo, delivering ‘Voi dovete pur sapere’ in Act One with bright tone and leading-man flair. Swiss-reared soprano Kim-Lillian Strebel matches her colleagues’ achievements with her depiction of Garsenda, particularly in her urgent voicing of ‘Viene! Viene! Madonna Francesca, ecco che viene dalla parte del giardine’ in Act One. A native of Veracruz, Mexico, baritone Alejandro Lárraga Schleske sings splendidly as il Giullare, the traveling minstrel who regales the Polentani household with tales of legendary lovers. The singer’s voice rings with boyish wonder in ‘So le storie di tutti i cavalieri,’ his delight in telling his stories as great as the assembled ladies’ joy in hearing them. Who would not relish such comely, clarion sounds emanating from his own throat? Lárraga Schleske phrases ‘Come Morgana manda al re Artù’ with the enthusiasm of the consummate storyteller, eager to hear the next development in his scenario. Those who hear Lárraga Schleske’s stories within the context of the opera clearly hang on his every word; so do ears that hear them flowing from the recording. From a post-Freudian perspective, the decadent language of Tito Ricordi’s libretto introduces a suggestion that Samaritana’s attachment to her sister Francesca is unnaturally close. Theirs is the language of lovers, not sisters, and when Samaritana’s music is sung as passionately as Hungarian mezzo-soprano Viktória Mester sings it in this performance there is an unnerving eroticism in the sisters’ encounters. Typified by her dramatically panicked but vocally poised ‘Francesca, dove andrai?’ in Act One, Mester is a Samaritana of unshakable devotion, the tessitura managed with panache except in a few passages that take the singer beyond the parameters of her vocal comfort zone. Even when under stress, the tone remains ingratiating, however. A further psychological dimension is injected into the performance by having Mester also sing the rôle of the Schiava in Act Three—an emotional slave to her sister before Francesca's marriage and later a physical manifestation of that self-imposed servitude, perhaps. The Schiava’s music is not as demanding as Samaritana’s, and Mester sings it with absolute assurance. Italian tenor Adriano Graziani deploys a lean, pointed timbre in Zandonai’s difficult music for the duplicitous Malatestino. It is a credit to the singer’s portrayal of the character that one quickly wishes that Francesca had been right when she thought that his battle wounds were fatal. The character’s reptilian creepiness oozes from Graziani's singing of ‘Fuggirà, fuggirà’ in Act Two, but it is in Act Four that Malatestino fully reveals his loathsome agenda. The insinuation of the tenor’s voicing of ‘Tu m’aizzi. Il pensiero di te m’aizzi l’animo, continuamente’ is appropriately repulsive, all the more so because the actual vocalism is appealing. The despicable conniver Graziani creates explodes with fury in ‘Tradimento! Io credea, mia cognata, che tal parola ardesse le vostre labbra,’ leaving no doubt that there are no depths of evil to which he will not descend in order to satiate his carnal appetite. ‘È se il fratello vede che taluno’ is intoned with venomous arrogance, crowning a performance in which Graziani displays his fluency in the language of operatic villains. After all, those miscreants who are most dangerous—Tancredi Pasero’s Ramfis, Giuseppe Taddei’s Scarpia, José van Dam’s Golaud, and now Adriano Graziani’s Malatestino—are those who wreak havoc most mellifluously. The treacherous Gianciotto is a figure whose character, like that of Verdi’s Rigoletto, is shaped by psychological manifestations of physiological deformities. Were the man conjured by Ricordi and Zandonai not so sickeningly smug in his malfeasance, it might be possible to pity a man compelled to resort to fraud in order to win the love of his betrothed. Hailing from Hidalgo, Mexico, baritone Juan Orozco lends Gianciotto a suggestion of rough-hewn dignity, but the growling menace of his performance—a faithful reading of the part, that is—annihilates any redeeming qualities. From his first appearance in Act Two, Orozco is a snarling but musical force in the drama. His singing of ‘Per Dio, gente poltrona, razzaccia sgherra’ exudes enmity, but the actual vocalism is not as solid as the baritone’s acting. Gianciotto’s emphatic music demands of Orozco a level of intensity that undermines the voice’s focus. Still, Orozco’s tonal unsteadiness neither effects his intonation nor detracts from the startling potency of his characterization. The pinnacle of his performance is his virulent ‘Mia cara donna, voi m‘attendevate?’ in Act Four. The slight problems with his singing in this performance notwithstanding, Orozco’s is a voice of excellent quality, and he is a Gianciotto whose savagery seems as intrinsic as his malformed physique. Here singing Paolo with unrelenting energy and an attractive if not conventionally beautiful voice, consistent in support and projection throughout the range, tenor Martin Mühle would be a wonderful asset in performances of many operas of vintages similar to Francesca da Rimini. His timbre as recorded is sometimes reminiscent of that of the under-appreciated Gianfranco Cecchele, and though he is a product of Brazil and Germany Mühle’s singing is convincingly Italianate. Throughout Act Two, the tenor’s singing is a marvel of power and security, his intonation sure to the top of his range. Top notes ring out thrillingly, and Mühle emotes unabashedly in his fervently-sung ‘Onta et orrore sopra di me!’ In Act Three, his singing of ‘Inghirlandata di violette m’appariste ieri’ and ‘Nemica ebbi la luce’ generates sparks that ignite the smoldering ardor between him and Francesca, culminating in their fateful kiss. Mühle completes his searing portrait of a tragic hero in Act Four with performances of ‘O mia vita, non fu mai tanto folle’ and ‘Ti trarrò, ti trarrò dov’ è l’obblio’ that radiate sensuality and sybaritic tension. Mühle’s phrasing is occasionally slightly pedestrian, but his singing is never routine. Like Mario del Monaco and Plácido Domingo in celebrated performances from the past, Mühle is a Paolo whose magnetism would attract any Francesca. Bulgarian soprano Christina Vasileva is in some ways a frustrating Francesca. There are sufficient beauty and natural quality in the voice to elevate expectations for her portrayal of the ill-fated heroine to great heights, and she meets these expectations to an extent that makes shortcomings more disturbing than they would seem in the context of the work of a less-qualified singer. It was Frances Alda who introduced Metropolitan Opera audiences to Francesca in the opera’s United States première in 1916, and the forty-three performances staged in the years between 1916 and 2013, when Francesca da Rimini was last heard at the MET, have featured singing actresses of the caliber of Renata Scotto and Eva-Maria Westbroek in the title rôle. On disc, Vasileva’s foremost rivals are Maria Caniglia, Leyla Gencer, Magda Olivero, and Raina Kabaivanska. The soprano comes so near to reaching these ladies’ plane of achievement in the part that it is easy to focus on her few weaknesses rather than her many strengths. In Act One, Vasileva phrases ‘Pace, amica cara, piccola colomba’ with affection that seems almost incestuous, and she credibly depicts a bashful young girl awakening to love throughout the act. The increased maturity that she conveys in Act Two is vital to the drama, her guardedly inquisitive ‘Ah! dove siamo noi?’ evocative of the inner torment that she strives to conceal. Vasileva’s resolute proclamation of ‘Questo cimento è il guidizio di Dio per la saetta’ contrasts cogently with her volcanic utterance of ‘Paolo! Paolo! Che mai è questo, o Dio?’ The air of alarm that she raises in ‘Sciagura! Non vedete? Non vedete Malatestino’ hints at a benevolent nature that has not been entirely corrupted by the mistreatment to which she has been subjected. Vasileva’s reading of the story of Lancelot and Guinevere in the extended duet with Paolo in Act Three surges with innuendo, her voicing of ‘E Galeotto dice: „Dama, abbiatene Pieta”’ simmering with personal implications. The exhaustion of a woman who has resisted her own heart’s desires for far too long resounds in her exclamation of ‘Paolo, datemi pace!’ Francesca’s histrionic journey reaches its tragic terminus in Act Four, the inexorable course of her love for the man she erroneously believed to be her husband leading to Gianciotto’s brutal vengeance for the betrayal begotten by his own deception. Vasileva sings ‘Perchè tanto sei strano?’ with keen sensitivity, seeming to sense like Verdi’s Desdemona that her path leads only to death. The ambiguities of her accounts of ‘Via, perchè pensate a quel che dissi leggermente?’ and ‘O Biancofiore, piccola tu sei!’ are evidence of a mind already preoccupied with inevitable destiny, but Vasileva detonates a ‘Perdonami, perdonami!’ that is like a slap to the face of her husband. Whatever awaits her in the pages of Dante’s Inferno, death is for this Francesca a kind of freedom, a release from the oppression of convention that enables her to be united with her true love, even if only in hell. It is at least a hell different from that in which she has languished in life. Vasileva’s upper register is strange. The lower reaches of the voice are voluptuous and smoothly-produced, but the highest notes are often wiry though true of pitch. The vibrato on high is markedly different, too: it sometimes seems as though the top notes are being produced by an altogether different voice. Even so, it is difficult to imagine a more involved and expressive Francesca among the handful of today’s singers with the appropriate voix du rôle. Seventy-one years after the composer’s death, the operas of Riccardo Zandonai still sit on the sidelines, waiting to be recalled to the field to demonstrate their ability to make big plays, but the obstacles that now prevent a score like Francesca da Rimini from reaching the end zone are failures of personnel, not musical deficiencies. When opportunities to perform Zandonai’s music are limited at best, which of today’s conscientious Toscas and Cavaradossis would subject their throats to the demands of Francesca and Paolo? This recording confirms that, when taken judiciously, the risks of performing Francesca da Rimini pay off. Fabrice Bollon, Christina Vasileva, and Martin Mühle are the Most Valuable Players of a team of musicians who score more than enough points to legitimize Zandonadi’s participation in the game. 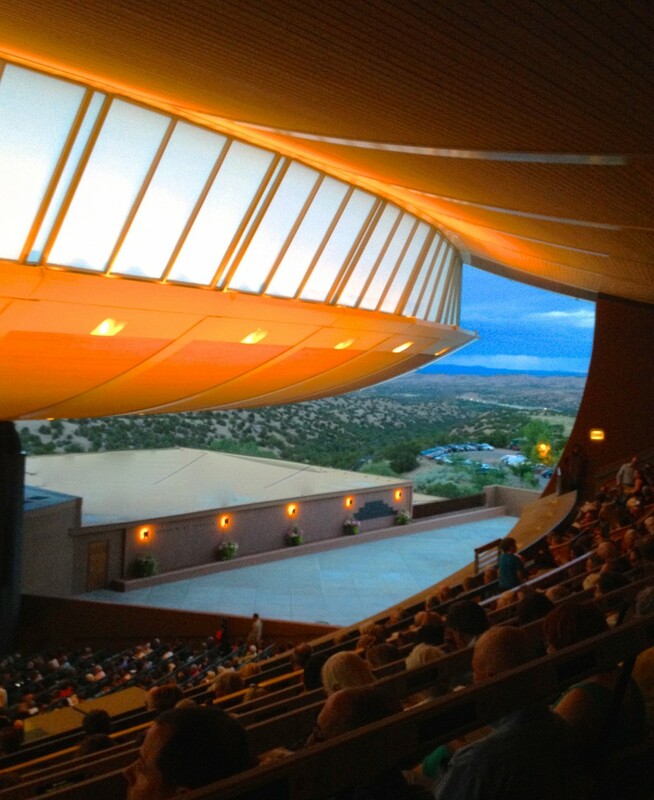 For every opera lover, there are performances that are like old friends. In the course of a lifetime of listening and opera-going, new acquaintances are made, allegiances change, and relationships are betrayed by disappointments, unmet expectations, and missed opportunities, but those ‘old friends’ are always welcome. Perhaps they only visit occasionally and sometimes turn up in new garbs that alter their appearances, but their hearts and souls remain constant. Neither the 1960 Buenos Aires performance of Amilcare Ponchielli’s La Gioconda nor the 1961 RAI Roma broadcast of Giacomo Puccini’s La fanciulla del West released on the Walhall Eternity Series label is new to collectors, but there are many folks among the ranks of opera aficionados for whom these performances are much-loved old friends. Though not new releases in the strictest sense, these Walhall editions are now more widely available in North America [on CD, at least: digital downloads are unavailable due to the intricacies of copyrights] thanks to distribution by NAXOS, and this is a valuable instance of familiar performances arriving in newly-cut suits of technological clothes that show off their handsome figures as never before. Many of the extant recordings of performances dating from Buenos Aires’s Teatro Colón in the 1960s remind today’s listeners of an era in which Verdi sounded like Verdi, Wagner sounded like Wagner, Puccini sounded like Puccini, and all sounded well-prepared, adequately-rehearsed, and unfailingly professional. The Teatro Colón’s ranks of ‘local’ talent ensured reliably capable singing of secondary rôles, and this Gioconda benefits from strong casting across the board. Tulio Gagliardo, Italo Pasini, and Guerrino Boschetti depict Zuàne, Isèpo, and the nameless Cantore with fervor. As Alvise, American bass Norman Scott (1921 – 1968) sings powerfully, traversing Ponchielli’s music with a voice silenced far too soon by the singer’s early death. Always audible in ensembles in Act One, he seizes his opportunities to excel in Act Three, voicing ‘Sì! morir ella de’! Sul nome mio’ and ‘Là turbini e farnetichi’ resonantly. In Alvise’s scenes with Laura, Gioconda, and the chorus, Scott sings with solid tone and dramatic presence, confirming what a blow the premature loss of his artistry was to the operatic community. Italian mezzo-soprano Luisa Bartoletti is not the most glamorous La Cieca imaginable, but she at least does not wobble, and her account of the famous ‘Voce di donna o d’angelo’ is phrased with feeling and ably vocalized. Italian baritone Aldo Protti (1920 – 1995) possessed a fine voice of the type that lends credence to the cliché concerning singers who, appreciated but not universally fêted during their careers, would be widely acclaimed were they singing today. Protti was an effective, memorable Rigoletto, and he here proves an idiomatic, steely Barnaba. In his opening scene, the voice exudes menace and bravado. Protti sings ‘O monumento! Regia e bolgia’ with unstinting energy, his upper register secure and thrilling. Sparring with Gioconda throughout the opera, he manages to make Barnaba’s perversion bizarrely sympathetic: one almost wishes that Gioconda would explore the possibility that the uncompromising Barnaba might prove a viable romantic alternative to the inconstant prig Enzo. His character’s animalistic appetite for control, a psychosis that goes beyond mere lust, is viscerally conveyed by Protti’s singing in Act Four. With Gioconda cornered like a frightened viper, Protti depicts a Barnaba who does not fear her strike. Even in a decade during which baritones of the renown of Cornell MacNeil and Giuseppe Taddei appeared in Buenos Aires, Protti was an extremely valuable addition to the Teatro Colón’s roster, and in this performance he is a Barnaba in the grand Italian tradition. Born in Memphis, Tennessee, either in 1928 or 1931 [biographies of the singer are divided on this point, but the later year seems to be more prevalent among credible sources], mezzo-soprano Mignon Dunn was throughout a long, diverse career encompassing many of the great German and Italian rôles for her Fach one of America’s most accomplished and dependable singers. Her performance in this Argentine Gioconda is a credit to her considerable talent and ironclad technique. All sweetness and femininity in Act One, this Laura’s titanium core shows through in Act Two, Dunn’s singing in ‘Stella del marinar!’ and the duet and then trio with Enzo and Gioconda formidably secure and throbbing with emotion. Her highest tones often stunning, Dunn sounds as though she might have sung Gioconda as credibly as Laura. In the scene with Alvise in Act Three, the mezzo-soprano’s timbre is arresting, its vein of copper complementing the bronzed patina of Scott’s voice, and the superb trio in Act Four inspires Dunn to unleash a flood of incredible vocalism. Like many of the Teatro Colón performances of this vintage that have circulated on ‘pirated’ recordings, this Gioconda was clearly first and foremost a vocal event. Dunn’s Laura is rarely subtle, but her healthy, hearty singing of this difficult part earns her favorable comparison with Ebe Stignani and Giulietta Simionato. Italian tenor Flaviano Labò (1927 – 1991) portrays Enzo Grimaldo as a golden-throated Romantic hero of the stand-and-deliver variety, and deliver he does. His ringing ‘Assassini! quel crin venerando’ in Act One is followed by singing of Corelli-like brilliance in the duet with Barnaba, ‘O grido di quest’anima.’ Enzo’s well-known aria in Act Two, ‘Cielo e mar,’ is hardly the most distinguished music that Ponchielli gave him, but Labò sings it excitingly, rising without undue effort to top B♭.The tenor’s best singing is done in the edge-of-the-seat duet with Laura and the trios with Laura and Gioconda. Like Dunn’s Laura, Labò’s Enzo is not a nuanced impersonation, but it is an uncommonly capably-voiced, authentically Italianate one. A native of Denver, Colorado, soprano Lucille Udovich (1930 – 1999) is now little remembered despite having enjoyed an estimable career, especially in Italy, where, among other portrayals, she was particularly admired for a fiery, luminously-sung Turandot in a television film that partnered her with Franco Corelli’s Calàf. Vocally and temperamentally, there are similarities among Udovich’s Gioconda and those of her fellow American expatriate Anna de Cavalieri and Zinka Milanov, whose Croatian heritage she shared. Udovich’s effort at the famous floated top B♭ in Act One is not the sound of rapturous beauty that Milanov’s almost always was, but Udovich reaches Gioconda’s highest notes with considerably less struggle than many sopranos have managed. She easily dominates Act One, as any Gioconda should do but few achieve without coming to grief. In both the duet and trio in Act Two, Udovich sings with raw emotion without wholly sacrificing tonal allure. Her account of ‘O madre mia, nell’isola fatale’ in Act Three is one of the most effective on disc, the directness of the sentiment delivered unaffectedly. Udovich’s performance of Gioconda’s pivotal scene in Act Four, ‘Suicidio! in questi fieri momenti,’ is grand but deeply personal—and sung with sweep and sincerity that recall the Giocondas of Giannina Arangi-Lombardi and Maria Callas. As Udovich sings them, ‘A te questo rosario’ and ‘Ora posso morir’ are as moving as ‘Suicidio.’ The final confrontation with Barnaba is sung with abandon, Udovich matching Protti’s vocal and dramatic largesse. Udovich is the centerpiece of a Gioconda that satisfies as almost none has in recent years, one in which Ponchielli’s music is genuinely, meaningfully sung and efficiently conducted by Carlo Felice Cillario. Though the recorded sound quality is inferior to that of the Gioconda performance, Act One from a 1958 Teatro Colón performance of Puccini’s Madama Butterfly offers tantalizing introductions to the Cio-Cio San and Pinkerton of Antonietta Stella and Labò, rôles that they did not record commercially, as well as the Sharpless of Giuseppe Taddei. Though both better-known during her career and more remembered now, Stella was, like Udovich, an underrated singer. Her misfortune was being a very good Cio-Cio San in the era of Callas’s and Renata Scotto’s great interpretations of the part. In the selections provided by Walhall, Stella, Labò, and Taddei sing well and audibly interact with one another not as singers collecting paychecks but as artists bringing characters to life. Most importantly, these are people for whom Puccini’s musical language is a native tongue. How many performances of Madama Butterfly anywhere in the world in the years since 1958 have featured Italians in all three of the lead rôles? Italian singers in their natural habitat is also a prime attraction of the second of these Walhall releases. Conducted with red-blooded Romanticism by its leading lady’s one-time paramour Arturo Basile, the RAI Roma La fanciulla del West is an exhilarating performance that is redolent of the stage despite its made-for-broadcast provenance. With native sons Piero de Palma as Nick, Carlo Cava as Ashby, and Mario Borriello as Sonora [a biography on the NAXOS website states that Borriello was actually born in Vienna, but Italian sources are unanimous in citing Brindisi as his natal city] among the near-ideal supporting cast, there is a robust showing by the RAI ‘home team.’ Especially noteworthy is Silvio Maionica’s galvanizing performance of Jake Wallace’s ‘Che faranno i vecchi miei.’ The action may be set in California, but only in Italy do minstrels sing so beautifully. Few baritones past or present have brought greater vocal amplitude to the dastardly sheriff Jack Rance’s music than Giangiacomo Guelfi (1924 – 2012). A great bear of a man with a voice to match, Guelfi is wholly in his element as Rance, but his singing in this performance is not all barking and blustering. In Act One, there is a surprising rush of tenderness in his voicing of ‘Ti voglio bene, Minnie,’ and his phrasing of ‘Minnie, dalla mia casa son partito’ exudes feelings deeper than carnal desire. Guelfi’s vocal acting in the life-or-death poker game in Act Two raises the stakes of the whole performance. The bitterness of this Rance’s acceptance of Minnie’s choice of Johnson in Act Three is that of a man who realizes that his only chance at true happiness is exiting his life on the arm of another man. Guelfi is too little represented on recordings, but this performance is a wonderful document of his artistry. Daniele Barioni’s (born 1930) platinum-bright tenor was, in terms of sheer vocal heft, small for Johnson, but he sings the rôle so well that, particularly in the context of a broadcast performance, this is insignificant. In Act One, the open-hearted—and open-throated—immediacy with which Barioni sings ‘Chi c’è per farmi i ricci?’ and ‘Vi ricordate di me?’ is engaging, but the ardor that emanates from his accounts of ‘Amai la vita, e l’amo’ and ‘Oh, non temete, nessuno ardirà!’ is profoundly touching. Barioni soars to the heights of ‘Un bacio, un bacio almeno!’ and ‘Or son sei mesi’ in Act Two with spirit befitting a bandito in love, and he pours his soul into ‘Non chiudete la porta.’ Johnson’s Act Three aria ‘Ch’ella mi creda libero e lontano’ is one of Puccini’s finest inspirations, and Barioni sings it splendidly, focusing on the lyricism that courses through the music rather than brute strength. Barioni is a Johnson whose reform seems complete, and his portrayal is so free from artifice that it is possible to believe that, for the duration of this performance, it is Johnson’s heart that beats in Barioni’s chest. Minnie is a rôle in which the inimitable Renata Tebaldi (1922 – 2004) shone. After Mimì’s delicate embroidered flowers and Cio-Cio San’s shimmering silks were no longer good fits for her, Tebaldi remained relatively comfortable with Minnie’s Bible and six-shooter. The challenges of Act One are here met with charm and sass, this Minnie’s ‘Dove eravamo? 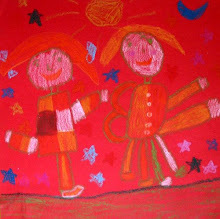 ... Ruth...Ezechiel‘ being more than just a Sunday School reading lesson. Tebaldi phrases ‘Laggiù nel Soledad, ero piccina’ with the spirit of a true verista, and she rises fearlessly to the top C: the note does not come easily, but it comes, and the soprano’s connection with the character is compelling. She articulates ‘Oh, Mister Johnson, siete rimasto’ with the winsome innocence of the first pangs of love. The simplicity with which she voices ‘Io non son che una povera fanciulla’ in the love duet conveys a panoply of feelings, the most gripping of which is burgeoning love that seems to frighten and gladden Minnie in equal measures. Tebaldi infiltrates the core of her character’s apprehension in Act Two, her voice gleaming in ‘Buona sera!’ and drenched with uncertainty in ‘Oh, se sapeste.’ Any listener who doubts the psychological depth of Tebaldi’s artistry should carefully study her singing of ‘Che c’è di nuovo, Jack?’ and ‘Siete pronto?’ in this performance: here, in the context of an unstaged broadcast performance, is as sagacious a portrait of the steadfast Minnie as has ever been recorded. In Act Three, Tebaldi sings with an imperturbable sense of purpose, uniting dramatic sensitivity with vocal opulence in her voicing of ‘E anche tu lo vorrai.’ From start to finish, this is a delightfully authentic Fanciulla del West, rough around the edges as its subject allows it to be, but at its center is a magnificent wild rose of the Sierra Madres in the person of Renata Tebaldi’s Minnie. How nice to hear you both again, old friends; and sounding so well! Born in Seattle in 1938, William Bolcom has since studies with mentors of the caliber of George Frederick McKay, John Verrall, Darius Milhaud, and Olivier Messiaen aided him in finding and refining his individual voice been among America’s finest composers, the recipient of both a Pulitzer Prize and a National Medal of Arts. Like Mozart, he has excelled in virtually every musical genre, creating works of beauty and brilliance for recital halls, concert venues, and opera houses and spanning more than a half-century of stylistic innovations, ranging from serialism and Twenty-First-Century post-modernism to unabashedly lyrical tonalism. Bolcom’s mammoth, three-hour setting of William Blake’s Songs of Innocence and of Experience, recorded by NAXOS with an ensemble of talented American singers including the composer’s wife, mezzo-soprano Joan Morris, is in many ways a summation of the composer’s creative ideologies. In their very different veins, so, too, are Canciones de Lorca and Prometheus, both recorded by NAXOS in performance in Costa Mesa, California, and here paired on a most welcome release in the label’s American Classics series. Created under very different circumstances, these works share an ethos anchored by the assertion that, in many aspects of humanity, the impulse to create is far stronger than the will to destroy. Bolcom’s gift for writing for voices, whether individual voices in Lieder or groups of voices in works for the stage, is a vital component of the composer’s own voice, and NAXOS’s recording of poignant, persuasive performances of Canciones de Lorca and Prometheus is a gift to listeners who appreciate Bolcom’s musical ingenuity and the lessons it offers in the art of binding of wounds and healing of scars with song. Composed for world-famous tenor Plácido Domingo to inaugurate the Renée and Henry Segerstrom Concert Hall in Costa Mesa’s Segerstrom Center for the Arts in 2006, Bolcom’s Canciones de Lorca are precisely what the title suggests: songs utilizing texts by Spanish poet and playwright Federico García Lorca (1898 – 1936). Active during the Guerra Civil, one of the bloodiest and most brutal periods in Spain’s history, and almost certainly executed in 1936 by the Nationalist forces that ultimately ushered the Fascist regime of Francisco Franco into power [the writer’s body was never found, and a recent exhumation yielded no new clues], García Lorca was for the Spaniards whose lives were disrupted or ended by the Civil War what Walt Whitman was to victims of the American Civil War and Wilfred Owen was to the combatants of the Great War: the progenitor of a Zeitgeist for an age that might otherwise be represented in history only by broken, unintelligible voices. A member of the Generación del 27 that suffused the reluctant Spanish literary establishment with elements of the Early-Twentieth-Century modernism already taking hold elsewhere in Europe, García Lorca was consumed by two great loves, for nature and music, and his poetry hypnotically fuses the imagery of the former with the cadences of the latter. Employing idioms that pay homage to García Lorca’s Andalusian heritage, Bolcom’s Canciones invert the lens and, by focusing the light of music on the poet’s words, illuminate the essence of the man who wrote them. Tenor René Barbera is an ideal conduit for this exchange of ideas between García Lorca and Bolcom. Though the music allows Barbera few excursions into the highest reaches that are the greatest glory of the voice, it is difficult to imagine even the esteemed Domingo singing Bolcom’s Canciones as well as the younger tenor sang them in the performances that yielded this recording. Audience coughs are frequently audible during both Canciones de Lorca and Prometheus, but, aside from an unnatural balance in the earlier work that places Barbera slightly too far forward in relation to the generally excellent Pacific Symphony, NAXOS’s engineering provides Bolcom’s music with a flattering ambiance. As heard on this disc, very closely recorded, Barbera’s voice seems larger and darker than it sounds in theatres, but the tonal beauty and sure pitch that characterize his work are much in evidence. In the opening canción, ‘Balanza,’ Barbera’s singing establishes an atmosphere reminiscent of Spain’s troubadour tradition, the vocal line intertwining with the text like a shimmering thread in the orchestral fabric that envelops the subsequent first Interlude, vibrantly played by the Pacific Symphony. Conductor Carl St. Clair shapes Canciones de Lorca with clear-sighted attention to the sonorities of both Bolcom’s music and García Lorca’s words, and he provides Barbera with reliably thoughtful support. The tenor voices ‘La casada infiel,’ ‘Alba,’ and ‘Danza da lúa en Santiago’ resonantly, the strength and focus of his lower register growing more impressive with every phrase. His accounts of ‘Árboles’ and ‘Soneto de la dulce queja’ breathe the same air that wafts through Manuel de Falla’s Noches en los jardines de España, nodding to García Lorca’s close acquaintance with his musical countryman. Entitled ‘A Poet in New York,’ the second Interlude is a character study of the creative personality with a subtly disquieting vein of longing, emphasized by St. Clair’s carefully-controlled but elastic pacing. Barbera’s singing is at its best in the closing canción, ‘El poeta llega a La Habana,’ which he sings with a burnished timbre and brawn that recall the young Domingo. The clarity of Barbera’s diction is a testament not only to the emotional depths of García Lorca’s words but also to the sensitivity of Bolcom’s musical settings of them, as well as to the singer’s own considerable abilities as a communicative artist. Like nearly all American artists, Bolcom was affected tangibly and intangibly by the terrorist attacks that transpired on 11 September 2011. A tangible result of the events of that fateful day is Prometheus, a work for chorus, piano, and orchestra that owes much to the structural model of Beethoven’s Opus 80 Fantasy in C minor for soloists, chorus, piano, and orchestra. 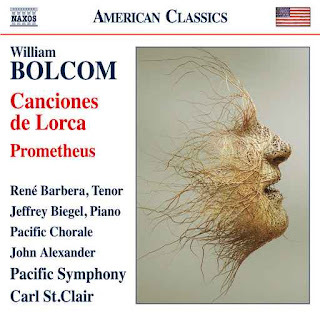 Allying his music with verses by Lord Byron (1788 – 1824), Bolcom created a work that allegorically likens the perpetual renewal of Prometheus for the sole purpose of his unending torment to the cycles of catastrophe and recovery and the cult of violence in modern society. Playing with virtuosic technique and expansive phrasing, the aptly Byronic pianist Jeffrey Biegel soulfully takes the part of Prometheus himself, his emotive traversals of Bolcom’s music engendering a very personal progression of thoughts upon which the chorus and orchestra seem to intrude. Prepared by Artistic Director John Alexander, the Pacific Chorale singers impress almost as much with their parlando delivery of the first section of Byron’s text as with their bold, well-integrated singing of the sections that follow. As in Canciones de Lorca, St. Clair manages the musical personnel under his direction with intelligence and insightfulness that produce a potent performance of Prometheus. The Pacific Symphony musicians throw themselves into their parts, firing volleys of barbed sound that symbolically pierce the tortured body of Prometheus. Biegel’s pianism personifies a metaphorical Prometheus of rugged physicality but a discernibly vulnerable psyche, undone by suffering but expressed with incredible immediacy by the pianist’s handling of Bolcom’s agitated, virulent music. The nuances of Byron’s text, elucidated by the choristers’ pointed singing, find a litany of cleverly-crafted parallels in Bolcom’s score. There are passages, especially in the piece’s final minutes, in which the performers seem to work a bit too hard at emphasizing the message of hope amidst despair that is central to Prometheus, but their involvement is indicative of an encouraging dedication to putting their fingers, instruments, and vocal cords wholly at the service of the composer. There are no adequate compensations or memorials amongst the words and works of men for the lives stolen on 11 September 2001, but Prometheus gives the futile anger, grief, and desperate quest for meaning a purpose beyond acceptance and vengeance. In music like Bolcom’s and in performances like this one, restoring faith in humanity can be accomplished, at least in part, by raising voices in song. In the fourteen years since the world watched in horror as edifices emblematic of the city that housed them and of human endeavor in the age of glass and steel crumbled beneath the weight of misunderstanding and misplaced zealotry, the definition of community has changed drastically—and perhaps permanently. It is in such times that communities most need great art and great artists, not as distractions but as beacons to light the way to renewed cooperation and coexistence. The awful discord of strife reverberates through Canciones de Lorca and Prometheus, but, like the din of war that penetrates the serene surface of the ‘Agnus Dei’ in Beethoven’s Missa solemnis, it is so that the harmonies of peace might sound all the sweeter. This disc was not needed to prove that William Bolcom is a significant composer, but it is a much-deserved tribute to an artist whose work enshrines the guarded optimism not of one man but of mankind. It was perhaps with tinges of irony and bitterness that Georg Friedrich Händel famously suggested that the reception for his oratorio Theodora in London, his adopted home since the second decade of the Eighteenth Century, would be tempered by the city’s Jewish population’s objection to the oratorio’s Christian subject and ladies’ rejection of its inherent morality. He might have felt much the same about the work for which he is most known in the Twenty-First Century, Messiah. Composed in 1741 and premièred in Dublin in 1742, Messiah reached London in 1743, when Händel, the predominant composer of Italian opera in the English capital since the première of his Rinaldo in 1711, was disenfranchised not only with the whims of egotistical singers but also with the fickleness of English audiences. Falling victim first to the machinations of a rival opera company supported by the Prince of Wales and later to the popularity of satires of Italian opera in its Händelian guise like John Gay’s The Beggar’s Opera, Händel abandoned the composition of opera after completing Deidamia in 1741 and with Messiah struck a decisive blow for the English oratorio genre that he had redefined with his 1732 revision of his earlier masque Esther. Like several of Händel’s operas, Messiah exists in multiple forms, ranging from that in which it was first heard in Dublin in 1742 to the 1754 version prepared for and bequeathed by Händel to London’s Foundling Hospital and an arrangement made by Mozart and eventually published in 1803 with further alterations by Johann Adam Hiller. Until the advent of the historically-informed performance practice movement, allegiances among Twentieth-Century Messiah performers were split between editions by Ebenezer Prout and Watkins Shaw, neither of which answered all of the questions posed by the perennially-popular oratorio. The foremost question that a performance of Messiah, if its aim is to faithfully recreate how voices and instruments are likely to have sounded in the Eighteenth Century or if it adjusts the scale of the music to conform with modern performance standards, must ultimately answer is whether the doggedly temperamental Händel would have granted it his approval. There is no doubt that even the brusque Saxon would have found copious words of praise for BR-KLASSIK’s new Messiah, masterfully culled from recordings of performances given in Munich’s Herkulessaal in November 2014. Uniting the Chor des Bayerischen Rundfunks with the B’Rock Belgian Baroque Orchestra Ghent under the baton of Dutch conductor Peter Dijkstra, this Messiah is unexpectedly one of the most successful recorded performances of this monumental score. Without in any way denigrating the fine work done by non-native speakers in performances and recordings of the piece, one of this Messiah’s foremost strengths is its quartet of English-speaking soloists, an advantage that is apparent from the first bars of ‘Comfort ye, my people,’ magnificently sung by Malaysian-born, Australian-reared tenor Steve Davislim, the sole soloist here recorded in Messiah for the first time. His firm, focused, consistently appealing tones are deployed with intelligence in Händel’s familiar melodic lines, and his technique is equal to both the bravura and the dramatic demands of the tenor arias. Davislim ornaments ‘Ev’ry valley shall be exalted’ tastefully, but the apex of his performance—and, indeed, one of the finest passages in the performance as a whole—is his restrained but expressive account of ‘Behold, and see if there be any sorrow.’ Furthermore, he is the rare tenor who truly conquers rather than merely surviving the daunting ‘Thou shalt break them with a rod of iron,’ and his contributions to the still-too-often-omitted ‘O death, where is thy sting?’ intensifies gratitude for its inclusion. Few recorded performances of the tenor arias equal Davislim’s. Welsh bass-baritone Neal Davies, ever an involved, accomplished singer, is on splendid form in this performance, singing strongly but thoughtfully. His emphatic style of utterance can sometimes overpower Händel’s music, but, beginning with unsubtle but stylish traversals of ‘Thus saith the Lord’ and ‘For behold, darkness shall cover the earth,’ his forthright singing is here a decided asset. Davies’s anthracite-hued voicing of ‘The people that walked in darkness have seen a great light’ conjures a reverent aura of wonder, and he sails through the fiorature of ‘Why do the nations so furiously rage together’ and ‘The trumpet shall sound,’ its B section beautifully accompanied only by the organ, with unflinching brilliance. This is among the bass-baritone’s most effective outings on disc. American countertenor Lawrence Zazzo largely avoids the hootiness heard in many of his similarly-voiced colleagues’ performances of the alto solos in Messiah, and his singing is notable for its secure intonation throughout the range. Sustained tones occasionally develop a slight suggestion of unsteadiness, but Zazzo is an imaginative, artful singer who controls his vocal resources with great skill. He sings ‘But who may abide the day of his coming,’ ‘O thou that tellest good tidings to Zion,’ and the alto’s portion of ‘He shall feed his flock’ handsomely, his embellishments unfailingly musical. Countertenors’ performances rarely rival female altos’ singing of the poignant ‘He was despised and rejected of men,’ but Zazzo has nothing to fear in comparison with even the greatest interpreters among recorded ladies, Kathleen Ferrier, Helen Watts, and Dame Janet Baker. His voice exudes exaltation in ‘Thou art gone up on high,’ which he dispatches with considerable technical acumen, and he partners Davislim well in ‘O death, where is thy sting?’ Zazzo was in marginally better voice in his earlier Messiah with René Jacobs on harmonia mundi, but this is the more memorable performance. Lancastrian soprano Julia Doyle has also been heard in a previous recording of Messiah, in her case the Polyphony traversal on the Hyperion label. She, too, improves upon her singing on her first recording—no mean feat. In the series of recitatives and accompagnati relaying the narrative of Christ’s birth, beginning with ‘There were shepherds abiding in the fields,’ Doyle’s voice rings out excitingly, and she sings ‘Rejoice greatly, o daughter of Zion’ beguilingly, using the lilting rhythm to credibly convey the elation of the text. Doyle follows Zazzo’s ‘He shall feed his flock’ with a lovingly-phrased ‘Come unto him all ye that labour’ in which she interpolates a particularly ravishing top B♭. Both ‘How beautiful are the feet’ and ‘If God be for us’ are sung with poise and alluringly even tone, but Doyle’s performance of ‘I know that my Redeemer liveth’ is rightly a thing apart: melding excellent diction and an obvious affinity for the music with spot-on commands of pitch and rhythm, the soprano makes the aria the emotional catharsis that Händel surely meant it to be. She and her male colleagues comprise a refreshingly well-matched quartet betrayed by none of its members, one of the finest complements of soloists recorded in Messiah in recent years. Only thirty-six years old at the time of the performances that produced this recording, Dijkstra has clearly acquired through his leadership of choral ensembles including Nederlands Kamerkoor, Sveriges Radiokören, and Chor des Bayerischen Rundfunks talents for developing rapports with choristers and encouraging them to surpass their highest standards of singing that elude many conductors. In this Messiah, both the Bavarian choir and the B'Rock musicians supply performances of superb quality. Few scores are apt to be more familiar to period-instrument ensembles than Messiah, but the B'Rock instrumentalists play Händel’s music with no indications of routine, only complete mastery. Purists whose ideas of historically-informed performance practices prohibit healthy doses of thoughtfully-conceived innovation will undoubtedly object to B'Rock’s use of theorbo in the continuo. That is regrettable, as it is so sublimely done that the notion of Händel himself objecting is unfathomable. The more canonical harpsichord and organ are played with equal accomplishment. Throughout the performance, B'Rock’s musicians find in Händel’s music outlets for both virtuosity and expressivity. Anyone expecting the Chor des Bayerischen Rundfunks singers to produce elephantine sounds with accents more appropriate to the Händel of Halle than of Dublin or London will be very surprised by this recording. Responding to Dijkstra’s guidance and singing in clear, cleanly-articulated English, the choristers achieve balances that are ideal for each chorus in succession, ranging from the hushed awe of ‘Since by man came death’ to the colossal ‘Amen’ that ends the work. ‘And the glory of the Lord,’ ‘And he shall purify the sons of Levi,’ and ‘For unto us a child is born’ are joyously declaimed, and the choristers take over ‘O thou that tellest good tidings to Zion’ from Zazzo with the irrepressible glee of people with news too thrilling to be withheld. The distance effect sought by Händel in ‘Glory to God in the highest’ is only approximated with contrasts in dynamics, but the choir’s singing is appropriately exultant. As sung in this performance, a more compelling close to Part One and opening for Part Two than ‘His yoke is easy’ and ‘Behold the Lamb of God’ are unimaginable, and the sequence of choruses beginning with ‘Surely, he hath borne our griefs and carried our sorrows’ and extending to ‘All we like sheep’ is shaped with enthralling dramatic thrust. The choir's delivery of ‘He trusted in God’ veritably explodes with irony, diverging markedly from the rousing statement of faith in ‘Lift up your heads.’ Messiah's ‘Hallelujah!’ may not be the best of Händel’s choruses or even of his ‘Hallelujah’ choruses, but there is no question that it is his most famous; not undeservedly so. The performance that ‘Hallelujah!’ receives from Chor des Bayerischen Rundfunks on this recording justifies the number’s fame, the handling of contrapuntal passages assured and the sopranos’ ascents to top A unperturbed. The final chorus, ‘Worthy is the Lamb that was slain,’ is sung with unstinting power, providing an inspiring coda to an uncommonly cohesive, inspiriting performance. Even in today’s problematic Classical recording industry, new recordings of Händel’s Messiah are anything but scarce. Perhaps Messiah is regarded by some artists and labels as a ‘safe,’ marketable work, and there is a measure of legitimacy in that logic. With many wonderful performances in the Messiah discography, however, new recordings face fierce competition, competition that threatens to marginalize them. 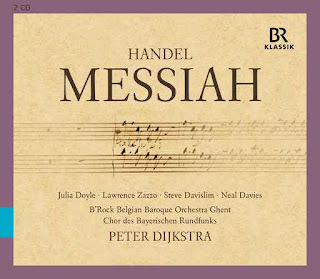 With performances of the distinction offered on this recording by soloists, choir, orchestra, and conductor alike, BR-KLASSIK’s Messiah cannot be marginalized: it is a Messiah that earns a place among the most enjoyable, most moving Messiahs on disc. When Iphigénie en Tauride premièred at Paris’s Salle du Palais-Royal on 18 May 1779, the sixty-four-year-old Christoph Willibald Gluck was at the end of his three-decade career as a composer of opera. His final opera, Iphigénie en Tauride is in many ways the culmination of the refashioning of opera seria that Gluck initiated with his 1762 Orfeo ed Euridice and continued in Alceste, Armide, and Iphigénie en Aulide. In the second of his Iphigenia operas, Gluck viscerally explores a multitude of emotions, none of which overstays its welcome: there is not in the score of Iphigénie en Tauride one superfluous or dramatically insignificant note. Performances of Gluck’s ‘reform’ operas have traditionally approached the music either from the perspective of the Baroque models of Lully and Rameau or from that of later exemplars of similar serious opera like Cherubini, Beethoven, and Weber. It is true both that without Thésée and Dardanus there may never have been an Iphigénie en Tauride and that without Gluck’s opera there may have been no Médée, Fidelio, or Der Freischütz, but Gluck’s music is to a marked degree sui generis. By Eighteenth-Century standards, Gluck’s was a long life, and his first operas were written when Händel remained active as a composer of opera and his last when Mozart’s Idomeneo was only two years in future. Among his contemporaries, Gluck’s operatic skill set was unique: Hasse’s style was more gallant, Haydn’s operas were less harmonically progressive, Mysliveček’s vocal lines were more instrumental in nature, Salieri’s idiom was more cosmopolitan, and Mozart’s operas even in his youth were less stylized. 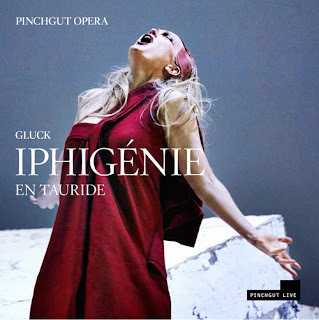 Whether Gluck was successful in his aim to return to opera a measure of its histrionic inheritance from Greek drama can be debated by pedagogues, but hearing Pinchgut LIVE's new recording of Iphigénie en Tauride, a souvenir of Pinchgut Opera's acclaimed December 2014 production of the opera, leaves no questions about the musical and theatrical efficacy of Gluck's last opera unanswered. There are many examples of shared guidance of an Arts institution engendering more tribulations than triumphs, but Pinchgut Opera’s productions are superb evidence of what can be achieved when like-minded advocates for opera combine their respective strengths. Guided by Antony Walker, who conducted this production of Iphigénie en Tauride, and Erin Helyard, who served as Associate Conductor and provided the quicksilver harpsichord continuo, Pinchgut’s endeavors benefit from the collaboration of two first-rate musical minds. Walker’s stylish, spirited pacing of a wide repertory has been showcased in opera houses and concert halls throughout the world, and this recording confirms that his command of Gluck’s music is no less noteworthy than his mastery of Nineteenth-Century opera. Under Walker’s direction, the playing of Pinchgut Opera’s resident period-instrument ensemble, Orchestra of the Antipodes, is as red-blooded and large-scaled as Gluck’s score requires. This is not historically-informed playing of the dainty, quills-and-catgut variety. The sounds produced by Orchestra of the Antipodes fabricate a credible recreation of music first performed in 1779 but also enable the listener to appreciate the noble grandeur that so engaged the imaginations of Berlioz and Wagner. The taut construction of Gluck’s score notwithstanding, Iphigénie en Tauride can be surprisingly dull in performance and on disc, but Walker paces the performance that plays out on this recording with unflagging energy and momentum. The elocutions of the ‘Calme’ and ‘Tempète’ of the opera's orchestral introduction are revealing: Walker accentuates the contrast by closely following Gluck's instructions. Walker’s fidelity to the score is admirable, not least for the extent to which adhering to the mandates of the music—and those of Nicolas-François Guillard’s libretto—sharpens the focus of the drama. The continuity of the performance that Walker paces makes it virtually impossible to believe that some of Iphigénie’s most memorable pages are borrowed from other Gluck scores, including the opening scene (sourced from the not-unjustly-neglected L’île de Merlin) and Iphigénie’s impactful ‘Ô malheureuse Iphigénie’ (adapted from an aria in La clemenza di Tito). This is a testament both to Gluck’s talent for molding coherent music dramas and to Walker’s intelligent handling of the music. The alert, ingratiating playing of Orchestra of the Antipodes is complemented by the singing of Cantillation. Throughout the performance, the choristers sing with excellent intonation and precisely the dramatic profile required by each scene. The chorus is of great importance in all of Gluck's ‘reform’ operas but perhaps more so in Iphigénie en Tauride than any other. Responding to Walker’s intuitive management of tempi, Cantillation's singers provide uncommonly well-integrated accounts of Gluck's choruses, thrilling and touching in turns. In many performances of Iphigénie en Tauride, the soloists are betrayed by poor conducting, orchestral playing, or choral singing: in Pinchgut Opera's recording, the efforts of Walker, Helyard, Orchestra of the Antipodes, and Cantillation are vital components of the performance's tremendous success. Observers who have very publicly caviled at the increasingly ‘international’ casting of English National Opera productions should consider shifting their loyalties to Pinchgut Opera, where there is a firm dedication to casting singers from Australia and Oceania. Furthermore, Pinchgut’s ongoing commitment to recording their productions enables listeners beyond Australia to hear singers whose work is not yet as known internationally as it deserves to be. For their production of Iphigénie en Tauride, Pinchgut assembled an ensemble of Australian singers whose fluency in Gluck’s musical language is impeccable. Portraying both an unnamed Scythe and the Ministre du sanctuaire, bass-baritone Nicholas Dinopoulos—an Oreste in the making—sings handsomely and powerfully, the authority of his voicing of the latter part’s ‘Étrangers malheureux, il faut vous séparer’ markedly increasing the menace of the scene in Act Two in which he appears. His music in Iphigénie en Tauride is neither demanding nor extensive in comparison with other works in his repertoire, but Dinopoulos is a singer whose attractive, assured vocalism and unaffected acting are always noticed. This is also true of mezzo-soprano Margaret Plummer, whose firm, focused tones are heard with pleasure in Gluck’s music for the Prêtresse and the anonymous Grecque. It is as Iphigénie’s deus ex machine Diane that Plummer is most memorable, however. The resonant, aptly unanswerable beauty with which she delivers Diane’s ‘Arrêtez! écoutez mes décrets éternels’ in Act Three is indeed divine. Like Dinopoulos, Plummer is a singer who leaves her mark on a performance and one ready to assume her place as one of opera’s finest leading ladies. The Scythian King Thoas is sung with villainous glee and robust, rock-solid tone by bass-baritone Christopher Richardson. In Act One, the singer introduces himself with a burly voicing of ‘Dieux! le malheur en tous lieux suit mes pas,’ and he proceeds to sing the Andante ‘De noirs pressentiments mon âme intimidée’ with laudable flair, the repeated top F♯s and Gs seeming to trouble him very little. Not heard again until Act Four, Richardson returns with a ringing account of ‘De tes forfaits la trame est découverte,’ his aggressive but debonair vocalism bringing the cruel, complicated Thoas to unexpectedly sympathetic life. The career of Central Queensland native tenor Christopher Saunders is a narrative of hardship, resilience, and recovery. Injured in an automobile accident whilst en route to hospital to receive a diagnosis of Bell's Palsy, Saunders is a musical phoenix who rebuilt not only his voice but also his confidence. Singing the rôle of Oreste’s cousin, friend, and comrade-in-arms Pylade in Pinchgut’s Iphigénie en Tauride, he veritably defines what is possible through perseverance. One cannot rebuild the Taj Mahal with Lego bricks, however, and Saunders’s valiant efforts would have achieved nothing had there not been top-quality vocal material with which to work. Pylade was written for and first performed by the celebrated French haute-contre Joseph Legros, whose upper register extended at least to E♭5, and was interpreted in an 1821 revival of the opera by Adolphe Nourrit, renowned for his singing of stratospheric music composed for him by Rossini. Gluck’s demands on Pylade are more modest, but the rôle is a trove of deceptive lyricism. Saunders sings Pylade’s Act One recitative ‘Notre projet est un mystère’ with elegance, the distinctive nasal vowels of the French text suiting the constitution of Saunders’s voice. Pylade’s lovely Cantabile con moto ‘Unis dès la plus tendre enfance’ in Act Two is one of the finest portions of Saunders’s performance, the top As lightly touched in a manner redolent of the voix mixte known to have been employed by hautes-contre of the late Eighteenth and early Nineteenth Centuries. Saunders does not wholly avoid strain in the upper register, but the moments of stress legitimize the tenor’s deeply-felt depiction of Pylade’s misfortunes. In the Act Three trio with Iphigénie and Oreste, Saunders sings passionately, and his articulation of the recitative ‘Ô moment trop heureux!’ exudes sincerity. His thoughtful ‘Dieux! fléchissez son cœur’ with Oreste is a heart-rending statement of a friend’s anguish that is seconded by an affecting performance of the Allegro espressivo ‘Ah! mon ami, j'implore ta pitié.’ Saunders phrases ‘Divinité des grandes âmes’ with dignity, and his voice audibly brightens in Act Four when Pylade learns that Oreste has been reunited with his sister and saved from sacrifice. There is no doubt that Saunders infuses his singing with emotions channeled from his own personal experiences and is all the more persuasive an artist for it. In this Iphigénie en Tauride, he is a marvelously direct, moving Pylade who sings plangently even when under duress. From the first bar of his recitative ‘Ô mon ami, c'est moi qui cause ton trépas!’ in Act One, Adelaide-born baritone Grant Doyle portrays an Oreste of integrity and vulnerability. Even before being condemned to slaughter upon his landing on Taurisé’s inhospitable shores, Oreste’s lot has been one of tragedy and misadventure: partly in retribution for his having been complicit in the alleged sacrifice of their daughter Iphigénie [she was, in fact, rescued by Diana and installed in the goddess’s temple on Tauris], Oreste’s mother Clytaemnestra murdered his father Agamemnon and was subsequently murdered herself by Oreste as vengeance for his father. Matricide having been frowned upon even in the bloody world of Euripides, Oreste has been tormented by the Furies, finding solace only in the company of the loyal Pylade. The weight of Oreste’s torment resounds in Doyle’s athletic singing of the Allegro ‘Dieux qui me poursuivez, Dieux, auteurs de mes crimes’ in Act Two, and he declaims the recitative ‘Dieux protecteurs de ces affreux rivages’ with unstinting strength. In fact, Doyle’s emphatic, rousingly masculine vocalism occasionally overwhelms the music, his Oreste therefore sounding more haranguing than heroic. The innovative Andante ‘Le calme rentre dans mon cœur’ is essentially a mad scene in which Oreste is mercilessly hounded by the Furies, and Doyle responds with a performance in which the character’s mental state is uncertain but the singer’s assurance is unflappable. There is tenderness in the baritone’s singing of Oreste’s lines in the Act Three trio with Iphigénie and Pylade, as well as in his ruggedly affectionate ‘Dieux! fléchissez son cœur’ with Pylade. Doyle’s brusque enunciation of the Lento ‘Quoi? toujours à mes vœux vous êtes insensible,’ though vocally impressive, reduces the emotional effect of the number. In Act Four, however, Doyle’s performance is ideal, musically and dramatically. He sings the Larghetto ‘Que ces regrets touchants pour mon cœur ont de charmes!’ with suavity and easy command of the tessitura, but it is his refined treatment of the Moderato cantabile ‘Partage mon bonheur’ that is the apex of Doyle’s performance. Oreste’s destiny ameliorates at last, and the character’s relief permeates the baritone’s singing. Doyle is a captivating actor, but, above all, it is very gratifying to hear a voice of true substance in one of Gluck’s most significant baritone rôles. In the six decades since the first recording of the opera was released, the title rôle in Iphigénie en Tauride has fared well before microphones, both in studio and on stage. Important singers who have donned Iphigénie’s sacred robes include Patricia Neway, Maria Callas, Hilde Zadek, Sena Jurinac, Régine Crespin, Marilyn Horne, Diana Montague, and Christine Goerke, an eclectic society of singing actresses with little more in common than having sung Iphigénie. Though she memorably recorded Iphigénie’s ‘Non, cet affreux devoir,’ the absence of Dame Janet Baker’s name from the ranks of Iphigénies on disc is surprising. Without question, Baker was the most celebrated Gluck interpreter of her generation, and it is Baker whose vocal prowess and acumen as an actress that mezzo-soprano Caitlin Hulcup’s singing of Iphigénie in this performance often recalls. Accomplished in a repertory spanning multiple centuries of musical invention, Hulcup finds in Gluck’s long-suffering Iphigénie a rôle that might have been written with her individual gifts in mind. Like Baker, she grants music and text equal importance, maximizing the communicative capacities of Iphigénie’s strenuous vocal lines. The unimpeachable security of her repeated ascents to G at the top of the stave in ‘Grands Dieux! soyez-nous secourables’ in Act One illustrates the level of excellence that Hulcup achieves in this music. Her ‘Ô race de Pélops! race toujours fatale!’ is fiery but sophisticated, Iphigénie’s aristocratic demeanor always apparent. The air ‘Ô toi, qui prolongeas mes jours’ is marked by Gluck as très doux, and this perfectly describes Hulcup’s singing, as well. With pitch tuned to A = 430 Hz, a reasonable representation of tuning in Paris in 1779 [a law passed eighty years later standardized pitch in France at A = 435 Hz] and approximately a quarter-tone lower than modern concert pitch, the top As are not altogether comfortable for Hulcup, but she turns occasional hints of overextension to her advantage. The mezzo-soprano’s portrayal of the troubled Iphigénie gains further dimension in Act Two, not least with her subtle singing of the recitative ‘Je vois toute l'horreur que ma présence vous inspire’ and her penetrating ‘Ô Ciel! de mes tourments la cause et le témoin.’ The Classical poise of her voicing of the pained Cantabile con espressione ‘Ô malheueurse Iphigénie’ is a credit to herself and to Gluck, the top As taxing her vocal resources but compellingly conveying the character’s despair and desperation. The recitative ‘Je cède à vos désirs’ and Larghetto cantabile air ‘D'une image, hélas! trop chérie’ in Act Three are delivered with abundant tonal beauty, and Hulcup reaches dizzying heights of tragic expression in the trio with Oreste and Pylade. Her performance of ‘Je pourrais du tyran tromper la barbarie’ alone qualifies her as world-class Iphigénie, but she crowns her interpretation with particularly fine, fearless sing in Act Four. The top As in the recitative ‘Non, cet affreux devoir je ne puis le remplir’ display increased freedom, and she suffuses ‘Ah! laissons là ce souvenir funeste’ with sounds befitting the daughter of a royal house. Not long after singing Iphigénie in Sydney, Hulcup expanded her Gluckian résumé with a much-appreciated portrayal of the titular troubadour in Orfeo ed Euridice for Scottish Opera. Singers with special affinities for Gluck’s music are rare, but even among their sparse company Hulcup is exceptional. A worthy rival to Callas, Jurinac, and Goerke, hers is as well-sung an Iphigénie as has been heard in the modern age. Expectations are always high when Pinchgut Opera launches a new season. [The 2016 Pinchgut schedule offers the inspired pairing of Haydn’s Armida and Händel’s Theodora.] What sets Pinchgut Opera apart from most of the world’s opera companies is the consistency with which their productions meet and exceed those lofty expectations. Perhaps the land of kangaroos and koalas is not the first locale that comes to mind in contemplation of settings for performances of his ‘reform’ operas that fully realize Gluck’s musical and theatrical goals. It should be. With splendid performances all round, this Iphigénie en Tauride establishes Pinchgut Opera as Gluck’s Bayreuth. There is a cherished aphorism that suggests that the road leading musicians to the stage of Carnegie Hall is paved with ‘practice, practice, practice.’ Were Carnegie Hall the nexus of a musical Utopia, this would perhaps be the end of the story: those musicians whose talent and perseverance achieve the perfect equilibrium that cannot be taught in any conservatory would assume the places that they deserve in the firmament of artistic luminaries, and all would be right with the world. 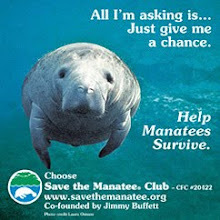 This, alas, is anything but a world in which all is right, no Utopia in which the deserving are rewarded without fail. This is a world in which extraordinarily gifted artists struggle in obscurity while the recognition their endeavors merit is enjoyed by pretenders whose artistry is in marketing, not music. ​Even in the realm of Classical Music, where musicians’ abilities to play pieces ought to be far more significant than how they look whilst plying their trade, success is too often gauged not by the quality of a performance but by how many people ‘tweet’ about it. Regrettably, concert-going can be a dishearteningly disappointing experience, especially for young people launching their maiden voyages into ‘serious’ music: what could be more discouraging than finding that admired performers are mere shadows of their punctiliously-promoted reputations? What sustains Classical Music in the dystopian reality of the Twenty-First Century are those glorious instances in which celebrated musicians exceed the expectations engendered by the ballyhoo that heralds them. The Duke Performances Piano Recital series at Duke University provided its audience with such an instance with a recital in Baldwin Auditorium by internationally-acclaimed pianist Valentina Lisitsa. Artists are often mercurial creatures, and the social media maelstroms of which she is a consummate mistress have whirled with commentary on the pianist's political candor, particularly on the topic of the unrest in her native Ukraine. After establishing her credentials as a collaborative artist with a stint as accompanist for Virginia-born violinist Hilary Hahn, it was via a series of widely-viewed YouTube videos—many of them recorded in her adopted home base of New Bern, North Carolina, incidentally—that Lisitsa, a devotee of the piano since the age of three, promulgated evidence of her musical gifts on a global scale. In Durham, she eviscerated any doubts about her ability to match in the concert hall her tantalizing panache before cameras and studio microphones with thoughtfully-planned, luminously-delivered performances of music by Alexdander Scriabin and Frédéric Chopin. Recitals by the greatest pianists can be tedious, but Lisitsa's playing captured the audience's attention from the first note and retained it until she triumphantly bade the enthusiastic throng goodnight. With a series of acclaimed DECCA recordings to her credit, Lisitsa is among the few pianists in recent memory to have devoted a significant expenditure of creative energy to studying and playing Scriabin’s piano music. Her most recent disc, Nuances [reviewed here], offered a compelling survey of music from virtually the entire span of Scriabin’s compositional career, and her playing of his music in Baldwin Auditorium further confirmed that she is a Scriabin interpreter of the caliber of Vladimir Sofronitsky, the composer’s son-in-law. Though born not in Moscow but in Kiev, Lisitsa seems to share artistic DNA with the Muscovite composer, her interpretations of his music for piano exhibiting the authority of Artur Schnabel's playing of Beethoven and Alicia de Larrocha's handling of Mozart repertory. Like the sequence of works on Nuances, the selections for the portion of her Duke recital dedicated to Scriabin's music displayed an appreciable savvy for using pieces from all phases of Scriabin's career to cogently illustrate the progressive development of his distinctive style. Opening with the Prelude in B Major (Opus 2, No. 2), the pianist’s traversal of music by Scriabin was remarkable for the range of hues that she coaxed from the instrument. Her technique is well-suited to Scriabin’s style, the great flexibility of her wrists and ease in managing intervals of an octave and greater enabling her to illuminate the expressivity of even the most fatiguing passages. Throughout the recital, her use of the pedals was exemplary: her ability to sustain a single tone whilst applying and releasing the pedals engendered feats of phrasing for which Scriabin surely hoped but must have thought all but impossible. The eight Préludes drawn from the twenty-four that comprise Scriabin’s Opus 11 were chosen with an obvious grasp of their compatibility. As Lisitsa played them, the transitions among individual Préludes were as smooth as those among movements of a sonata. With Nos. 2 in A minor, 4 in E minor, 14 in E-flat minor, 15 in D-flat minor, 16 in B-flat minor, and 20 in C minor, minor keys dominated, but Lisitsa’s playing was wholly free from heaviness. The variety of her accounts of the Préludes was facilitated by far more than different key signatures and tempi: she was a bard telling timeless stories, not just a pianist producing notes. The powerful Préludes Nos. 5 in D Major and 10 in C-sharp Major were conquered, not merely played. Here and in the three subsequent Préludes, the G-sharp minor from Quatre Préludes (Opus 22, No. 1), the G minor from Deux Préludes (Opus 27, No. 1), and the D-flat Major from Trois Préludes (Opus 35, No. 2), Lisitsa built and released anxiety in the music with uncanny dramatic instincts. Under her touch, the major-key Préludes were not without murky shadows, and the numbers in minor keys benefited from glimpses of wry humor. Scriabin’s Opus 41 Poème is an interlude of marked emotional directness, and Lisitsa dove into its depths without losing sight of the surface, the glow of sunlight never succumbing to the extinguishing abyss. Her performance of Flammes sombres, the second of the Opus 73 Deux Danses, sizzled with ardor, the relative sobriety of the music sharpening the sting of her uninhibited playing. The Polonaise (Opus 21) is, like its cousin in Act Three of Tchaikovsky’s Yevgeny Onegin, a vital fusion of Polish form with Russian spirit. It was impossible to overlook these traits in Lisitsa’s performance. She ended the first half of the recital with Poème tragique (Opus 34) and Poème satanique (Opus 36), two of Scriabin’s most unique works, and both were fired into the auditorium like meteorites. The ‘tragic’ trajectory of the Opus 34 Poème was traced with imagination and boldly expansive phrasing. The interpretive significance of every virtuosic flourish was carefully examined and integrated into Lisitsa’s approach to the music. No one in Baldwin Auditorium ‘went down to Georgia’ during Friday evening’s performance of Poème satanique, but Charlie Daniels would have been most pleased by Lisitsa’s fearless, ferociously inflammatory playing of Scriabin’s diabolical music. Like most composers of music for piano whose careers began in the second half of the Nineteenth Century, Scriabin was strongly influenced by the work of Frédéric Chopin. Not an artist who is content to accept—or ask her audiences to accept—conventional wisdom without meticulously evaluating the solidity of its foundations, Lisitsa delved into a sonorous explication of the kinship between the Polish composer’s music and the work of his Russian successor by employing for the second half of her Duke recital a programme of pieces by Chopin. In its unabashed Romanticism, her playing of the physically frail but emotionally flamboyant composer’s music recalled the Chopin interpretations of Arthur Rubinstein and Vladimir Horowitz, the latter having also been a champion of Scriabin’s music, but the full-bodied delicacy with which she emphasized the bel canto melodic lines, sometimes seeming to transform the Steinway before her into a turn-of-the-Twentieth-Century Bösendorfer, brought to mind Ingrid Haebler’s little-remembered but sublime Chopin interpretations. Unfortunately, Lisitsa was compelled to share the second half of her recital with the conversational obbligato of a gentleman—seated at the front, as such gentlemen invariably are—who seemed physiologically incapable of silence. Such was Lisitsa’s preparation that, though she played from memory, her concentration was never disturbed. The intensity with which she phrased Chopin’s barnstorming Scherzo No. 2 in B-flat minor (Opus 31) was explosive. The familiar strains of the Scherzo’s first bars poured into the auditorium like the boiling waters of a geyser. Never shrinking from dynamic extremes, Lisitsa could fill the space with massive outbursts of sound or, like Zinka Milanov soaring to her trademark pianissimo top B♭ in Act One of La Gioconda, reduce the tone to an always-audible whisper. The symmetry of her playing of the Scherzo was defined by the contrasting rhythmic precision of repetitions of the principal theme and the elasticity of her handling of the development. Collectively, the twenty-four Études that constitute Chopin’s Opera 10 and 25 are a sequence of works as important to the keyboard as Bach's Das Wohltemperierte Klavier. In the Études, Chopin magnificently tested and in many ways redefined the capabilities of the piano, following Beethoven's lead in establishing the instrument as a concertizing entity in its own right. The foremost wonder of Lisitsa's readings of the Études was her attention to the links among the pieces. Performed without pause, the Études were presented like tableaux vivants within an elaborate musical cyclorama. It seems invidious to consider Lisitsa’s performance of the Études as anything but a gargantuan but astoundingly coherent whole. As in Scriabin’s music, she utilized crescendi and rallentandi in highly individual ways, highlighting the Études’ episodic nature. When playing arpeggios, she often seemed to be playing a harp rather than a piano, and the instrument responded to her touch as though it were an extension of her own body. Lisitsa’s is a dramatic style of pianism, but her technique is clearly founded upon an effort to evince tension in the music by relaxing the musculature employed in playing. Indeed, there were moments on Friday evening when it would have been easy to assume that the music was coming from the lady on stage rather than from the piano. In truth, the instrument was sporadically unworthy of her: the brightness of the upper two octaves of the compass typical of a Steinway undermined the homogeneity of tone that Lisitsa sought, but this limitation did not lessen her astonishing ability to reveal the inner voices ‘singing’ in the Études. The lighter of the Études were sweetly playful, and the darker moments alternated tenderness and thundering potency. As Chopin’s music flowed from Lisitsa’s fingers, the only possible reaction was to surrender oneself to the deluge and rejoice in being submerged in sounds so lovingly shared. Since its composition in 1847, Franz Liszt’s (1811 – 1886) Hungarian Rhapsody No. 2 in C-sharp minor (S.244/2) has been a staple of the repertoires of pianists capable of playing it—and, to be frank, of the repertoires of more than a few pianists not up to the task. One of Lisitsa’s most-viewed YouTube videos preserves a performance of the Rhapsody, but her playing of the piece as the encore in her Duke recital possessed a frisson that no recording can convey. The lilting rhythms of the lassú were realized with great bite, and the incendiary frishka intoxicated with the hearty flavor of one of Hungary’s legendary ‘bull’s blood’ wines. The Rhapsody offered an opportunity for Lisitsa to unabashedly display her awesome virtuosity, of course, but in the context of this recital it also emerged as a natural bridge between the milieux of Chopin and Scriabin. Lisitsa’s performance of the Rhapsody was not without a welcome dose of showmanship, but even her showmanship is soulful. Ideally, a recital should reveal as much about the pianist as about the composers whose music is performed. Anyone who entered Baldwin Auditorium on Friday evening without a familiarity with the music of Alexander Scriabin should have departed with as intimate an acquaintance with the composer and his artistry as many music lovers acquire via lifetimes of listening. Music for the piano by few composers is more widely known than that by Frédéric Chopin, but Chopin, too, was essentially reintroduced, his music played not as polite, pretty salon pieces but as genre-defining offspring of an incomparable artistic mind. There were a few wrong notes, amounting to nothing, but, crucially, the expressive ethos of Friday evening's recital was resoundingly right. Valentina Lisitsa revealed the glistening facets of her artistic personality with a recital that exuded confidence and faith in the communicative power of music. Such magisterial playing is not achieved solely by ‘practice, practice, practice,’ but how wonderful it is to experience the work of an artist who, in practice and not just in reputation, truly deserves that distinction.